Our Chicken CSA returns this year! It’s a great way to get our delicious free range chicken at a savings over buying directly from our market. You can sign up for 1-4 or more chickens per month for 6 months from June-November. Chickens here are, of course, raised humanely, fed a non-medicated, vegetarian, all natural diet and allowed, or should I say forced to range free. These chickens would prefer to hang by the buffet all day. Chickens are sold as whole chickens weighing around 4 pounds. Packaged just like a grocery store chicken, but inside the package ain’t no grocery store chicken. Many have told us that our chickens are the best they’ve ever had! 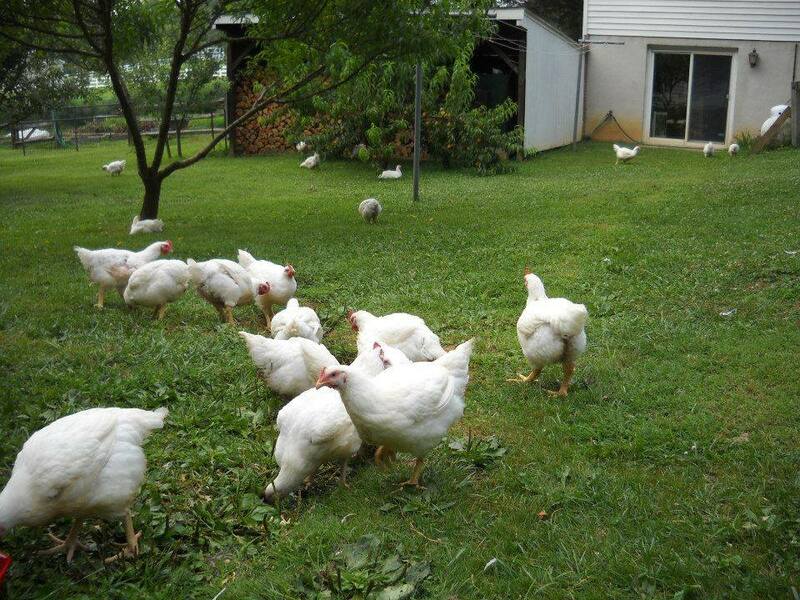 Chickens will be available in our market at $4.75 per pound, much less through the CSA program. If you’re interested in joining this year’s chicken CSA, decide what plan will work for you, pay half down by March 1st to hold your spot and then the balance by April 1. Any questions, feel free to email me, call or text.